There is so much talk going on about essential oils. If you are a seasoned user or have been wanting to give the oils a try- we’ve got a fabulous giveaway to help you out! dōTERRA® (meaning “Gift of the Earth”) essential oils represent the safest, purest essential oils available in the world today. Each of dōTERRA’s Certified Pure Therapeutic Grade® essentials oils is carefully extracted by a global network of skilled growers, distillers, and chemists ensuring a consistently powerful user experience. They are 100% pure aromatic extracts and contain no artificial ingredients and are tested to be free of contaminants such as pesticides or other chemical residues. This giveaway is for one DeTERRA Essential Oils Family Physician Kit worth $166! 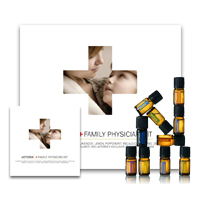 The Family Physician® Kit is a collection of ten nurturing essential oils, including six single oils and four blends. The stunning box includes tips for using the oils, as well as an audio CD featuring dōTERRA®’s Chief Medical Officer, Dr. David K. Hill. In this audio presentation, Dr. Hill teaches listeners how to care for their family’s everyday health needs with simple and safe methods using the ten essential oils included in this kit. Includes 5 ml bottles of Lavender, Lemon, Peppermint, Melaleuca, Oregano, Frankincense, Deep Blue®, Breathe, DigestZen®, and On Guard to help families address a multitude of health issues. Just leave a comment on this blog post! 1. Like Caramel Potatoes on Facebook and leave a separate comment telling us. 2. Follow Caramel Potatoes on pinterest and leave a separate comment telling us. 3. Follow Caramel Potatoes on twitter and leave a separte comment telling us. 4. Share this Giveaway on any social media (FB, Pinterest, Twitter, etc) and leave a separate comment telling us. Must have US/Canada Shipping address to win. Giveaway will end Sunday, March 10, at 10 p.m. CST – Good Luck! I just started venturing out in the essential oils world, loving every step of the way. I would definitely love to win the Family Physician Kit. Yes, I do follow you on Pinterest! This would be incredible to win! Thank you for offering it. I just began following you on Pinterest. I love essential oils—great for making homemade products. Thank you for the generous giveaway. I am very new to essential oils and want to replace every single thing I have in my medicine cabinet with a healthy alternative. I believe essential oils will be key to that! Liked Caramel Potatoes on Facebook as Elena Vo. Followed you on Pinterest as EV (username: blessedfosho). I love DoTerra! What an awesome GIVEAWAY! Pick me! Pick me! I have been really interested in learning about the benefits of essential oils. I follow you on Twitter as Mybakersdozen. I would luv to win this. I am just starting with essential oils. I have “Liked” you on Facebook! I “shared” this on FB! I posted this on FB and also like the Caramel Potatoes FB page. Yahoo!! I shared this on Twitter as well!! I hope I get to win! I am following you on Twitter.!!! 🙂 I love your stuff! Oh how I would love to win this. I follow you on Facebook, thanks!! I would love to win this for my family of 6! I’m followers on Caramel Potatoes on pinterest! Can’t believe I wasn’t before! would love to win – started researching recently and have uses lined up for many of them! This would be such a blessing, just started using but haven’t been able to try these. Thank you for the chance! I also shared this on FB! I’ve just started reading more about using essential oils and heard good things about doTerra recently. I’d love to try their blends! What a great giveaway! Thank you so much! I’ve been very interested in using essential oils for my health. I like CP on FB. I’m following CP on Twitter. Thanks for having a fantastic giveaway. I love essential oils, especially lavender and melaleuca. Curious to try Frankincense. I follow you on Pinterest as Alexandrina Marie. I’ve really only used lemon oil but would love to use others. I am now a Facebook fan (Romina C). I have used a few of DoTerra Essential oils in the past & have had great success with them. I would love to win the Family Physician Kit so I can share some of the oils with my son. He was hurt in Iraq & has chronic pain issues which aren’t helped by traditional pain meds & I would love to see if the DoTerra oils would be of help to him. I would love these!! I am trying to built up my collection. Now I’m following on Pinterest! Essential oils have eased many ailments in my family, such as allergies and sleeplessness. Just started using essential oils in natural cleaning. love them! Liked,shared,twittered and pinned! This prize would really be great to win. Thank you for this contest! I AM FAIRLY NEW TO LEARNING THE DIFFERENT PROPERTIES OF ESSENTIAL OILS AND I AM TRYING TO ABSORB ALL I CAN-THANKS! I just started learning about essential oils and would be so interested in trying them out! Hi I liked Caramel Potatoes on Facebook. I’ve heard so much good about essential oils. I’ve only tried the lavendar. So many uses for this stuff! I would totally use the Lavender for laundry. There’s nothing quite like getting into a warm bed that smells like lavender. Mmm. This looks like an amazing giveaway, thank you for offering it ! I’m very interested in the use of essential oils as health remedies – would love to try the kit! I follow on Twitter as @ehlara_l. I pinned the giveaway at http://pinterest.com/pin/236931630368440617/ and shared the pin on FB, also. Thanks again, I would LOVE to try some DoTerra oils! I absolutely love essential oils and love learning about their different uses! Yay for health!!! I stumbled into essential oils last year and am still learning all of the possible uses! I shared this on facebook, too. I’d like some good quality essential oils. How cool! Enter me please! My cousin is really into these and has been telling me how wonderful they are. I would love to try these, I am pretty new to the world of oils, but would love to learn more! This sounds yummy. . . and a great thing to be pampered this way . . . I like Caramel Potatoes on facebook. Shirley Dubon. I follow Caramel Potatoes on Pinterest. Name: Shirley Dubon. Going to try these Caramel Potatoes,sound good! This is something I am very interested in to try, ty! My wife would love to win this prize! Amazing!! I would to win these! WOW! Would love to win this and take to Mexico with me. Pick me, pick me. Your next winner!!! Show me the money! Liked , shared, and followed. It would be a dream come true and means a lot more to me than anyone else to win the prize. I don’t have much in life. No money, girlfriend, friends, house, life, etc. : ( Starving artist here desperately needs the essential oils to be well and feel inspired and alive again. A life changing experience. Top of my bucket list. I’ve been reading about essential oils and have experimented with a couple of them with good results. I’d like to try more of them. On a side note, I re-pinned your recipe for salted caramel cheesecake bars & can’t wait to try them. YUM! This looks like a fabulous starter kit. Fingers crossed that I’m the lucky one! Liked Caramel Potatoes on Facebook as Austin Baroudi. Following Caramel Potatoes on Pinterest as Austin Baroudi. I am fascinated by essential oils and would love to know more! I have never used essential oils..but would love to try! I am now following you on pinterest! Katy A.
I got a bottle of lavender essential oil for Christmas and I am enjoying it thoroughly. I would love to try so many other essential oils. Yes, I Like Caramel Potatoes on Facebook. Follow Caramel Potatoes on pinterest as flairshare. Follow Caramel Potatoes on twitter @flairshare. I’m very interested in this set. I’d love to start using more EOs. I would love these oils. Thanks for the chance! I’m following you on pinterest too! I love making your cranberry pecan sweet rolls and would probably love your essential oils too! I love essential oils, used to using them in my home-made cleaning products, venturing into using them for health would be great as we are trying more and more to use natural health remedies. I follow on Pinterest as momisblessed. I’ve heard this is a great brand and I’d love to try it! shared link on fb. entry for essential oil plx. I live essential oils. I could use these for so many things! I love essential oils, have been using them for years! This would definitely be an awesome prize to win! This is an awesome giveaway!! I would love to win this! After struggling with conventional medicine – perfect! I follow all boards on Pinterest! 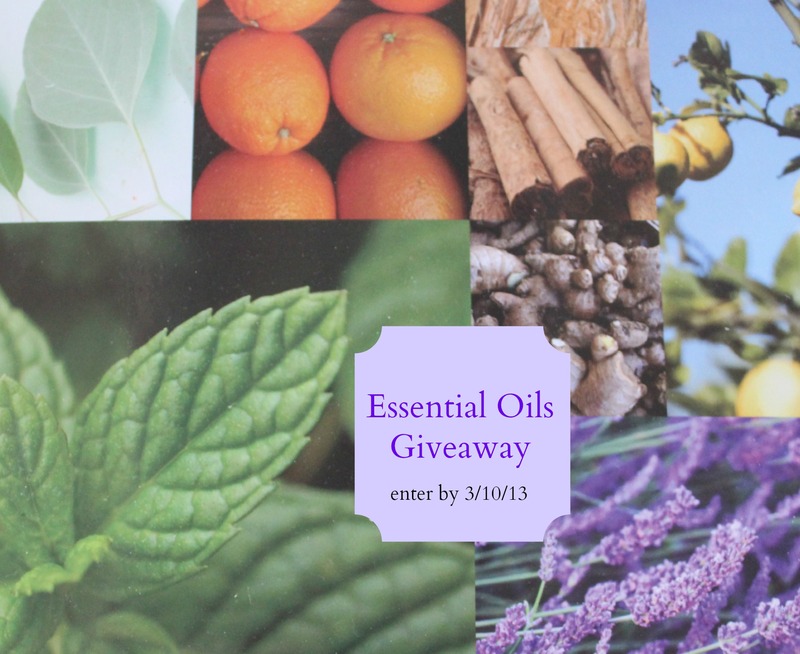 I recently started with essential oils and love them, Id love to win a set! Mandatory entry: I would love to win these essential oils. We use essential oils around our house all the time. I follow Caramel Potatoes on facebook as Lauren S*****. Wow!!! would love to win this give away!!! I just started looking into essential oils and would love to win this!! I liked you on FB. Thanks for the giveaway. Thanks so much for this giveaway. I’m new to essential oils and would love to have this. I love essential oils I use them all the time. I like you on Facebook and just about started drooling when I saw your Facebook Cover photos! Everything looks so delicious! So glad I found your website! I like you on Pinterest! I love using essential oils for many things. i liked caramel potatoes on facebook! thanks! What an amazing selection of essential oils, I would love to win! I like Caramel Potatoes on FB as Sandy Hardman. I follow you on Pinterest as Sandy Hardman. Shared on Pinterest as Sandy Hardman. Would love to win! Thank you and great prize. I have a friend at work that sells essential oils and he tried something on me on a day I was raging a horrible headache… I was surprised at how much better I felt! The DeTERRA Essential Oils Family Physician Kit sounds like a very useful kit my family could use. What a great giveaway, would love to give this a try! I want to know if essential oils can help with weight loss. I am new to essential oils but read a lot about them. Tonya, love your question! 🙂 Personally, I love essential oils regardless of their weight loss properties. What a generous giveaway. Thanks for the chance. I am new to essential oils. Would love to try these, I can smell the lavender now! I would love to try this kit with its great variety of oils! I love using essential oils in my homemade products. I use lavender oil to keep away mosquitoes and I’d love to learn about other essential oils and what I could do with them. I love essential oils and feel they really help with physical and mental well-being. i just getting into essential oils and need some inventory! Thank you, I would love to win! Someone will be smelling good. I am following you on Pinterest. Thanks! This kit is amazing. I love using lavender oil and am anxious to try others. The lavendar and the peppermint sound so awesome right now! I would love to try the relax oil! I would love to win this amazing giveaway! I have never tried essential oils before and really want to. I have two friends that have really gotten into these lately. I’ve been wanting to try these. What a great opportunity to do so! I would love to win this giveaway since I have a friend who has been talking about essential oils to me quite a bit lately. I would love to get started with them and see this as a good opportunity. New to the oils but have had unbelievable results in just a little time. Liked Caramel Potatoes on Facebook! I have been researching using essential oils this week. Would love to try them!